Welcome to the website of GRIME BOSS, which is owned by Nice-Pak Products, Inc. (“GRIME BOSS” “Nice-Pak Products, Inc.” or “We”). This is a legal agreement between you (“You” or “Authorized User”) and Nice-Pak Products, Inc. Before accessing or using any part of the www.grimeboss.com website, You should carefully read the following Terms and Conditions contained in these Terms of Service below (“TOS”) because they govern your access to and use of this GRIME BOSS site which is owned by Nice-Pak Products and any services, tools, materials, or information available through the GRIME BOSS website or used in connection therewith (collectively, the “Company website”). Nice-Pak Products is willing to license and allow You use of the Company website only on the condition that You accept all of the terms and conditions contained in this TOS. If You do not agree with all of the terms and conditions contained in this TOS, You are not granted permission to access or otherwise use the Company website and should leave the Company website immediately. 1. License Grant. The GRIME BOSS website is owned and operated by Nice-Pak Products, Inc. , and this TOS provides to You a personal, revocable, limited, non-exclusive, royalty-free, non-transferable license to use the Company website and any programs, services, tools, materials, or information made available through or from the Company website so long as You comply with the terms and conditions of this TOS. This TOS permits You to use and access for personal or business purposes only the Company website (i) on a single laptop, workstation, computer or mobile device and (ii) from the Internet or through an on-line network. You may also load information from the Company website into your laptop’s, workstation’s, mobile device’s or computer’s temporary memory (RAM) and print and download materials and information from the Company website solely for your personal or business use, provided that all hard copies contain all copyright and other applicable notices contained in such materials and information. If You are using the Company website on behalf of a company or other form of entity, please note that such a company or entity may have a separate agreement with Company regarding access and usage privileges for the Company website, including, without limitation, a member services agreement with Company. Nevertheless, your personal use of the Company website will be subject to the obligations and restrictions regarding use of the Company website as set forth in this TOS. 2. Restrictions. The foregoing license is limited. You may not use, copy, store, reproduce, transmit, distribute, display, rent, lease, sell, modify, alter, license, sublicense, or commercially exploit any data provided by Company through the Company website in any manner not expressly permitted by this TOS. In addition, You may not modify, translate, decompile, create any derivative work(s) of, copy, distribute, disassemble, broadcast, transmit, publish, remove or alter any proprietary notices or labels, license, sublicense, transfer, sell, mirror, frame, exploit, rent, lease, private label, grant a security interest in, or otherwise use in any manner not expressly permitted herein the Company website. Moreover, You may not (i) use any "deep link," "page scrape," "robot," "spider," or other automatic device, program, script, algorithm, or methodology, or any similar or equivalent manual process, to access, acquire, copy, or monitor any portion of the Company website or in any way reproduce or circumvent the navigational structure or presentation of the Company website to obtain or attempt to obtain any materials, documents, or information through any means not purposely made available through the Company website, (ii) attempt to gain unauthorized access to any portion or feature of the Company website, including, without limitation, the account of any other Authorized User(s), or any other systems or networks connected to the Company website or to any PDI server or to any of the services offered on or through the Company website, by hacking, password “mining,” or any other illegitimate or prohibited means, (iii) probe, scan, or test the vulnerability of the Company website or any network connected to the Company website, nor breach the security or authentication measures on the Company website or any network connected to the Company website, (iv) reverse look-up, trace, or seek to trace any information on any other Authorized User of or visitor to the Company website, (v) take any action that imposes an unreasonable or disproportionately large load on the infrastructure of the Company website or Company's systems or networks or any systems or networks connected to the Company website, (vi) use any device, software, or routine to interfere with the proper working of the Company website or any transaction conducted on the Company website, or with any other person's use of the Company website, (vii) forge headers, impersonate a person, or otherwise manipulate identifiers in order to disguise your identity or the origin of any message or transmittal You send to Company on or through the Company website, (viii) use the Company website to harvest or collect e-mail addresses or other contact information; (ix) market, co-brand, private label, separately distribute, resell, or otherwise permit third parties to access and use the Company website (or any part thereof) without Company express, separate, and prior written permission, or (x) use the Company website in an unlawful manner or in a manner that could damage, disparage, or otherwise negatively impact Company. 3. User Obligations. By downloading, accessing, or using the Company website in order to view our information and materials or submit information of any kind, You represent that You are at least the legal age of majority or, if a minor have parental or custodial permission, and will, at all times, provide true, accurate, current, and complete information when submitting information or materials on the Company website, including, without limitation, when You provide information via a Company website registration or submission form. If You provide any false, inaccurate, untrue, or incomplete information, Company reserves the right to terminate immediately your access to and use of the Company website. In addition, You agree to abide by all applicable local, state, national, and international laws and regulations with respect to your use of the Company website. Without limiting the generality of the foregoing, You agree that You shall not use nor disclose to any other party in a manner not permitted by this TOS any personally identifiable information, which You receive or which is made available from Company in connection with this TOS. This TOS is also expressly made subject to any applicable export laws, orders, restrictions, or regulations. You shall not export the Company website (or access thereto) without complying with such laws, orders, restrictions, or regulations. In addition, You also acknowledge and agree that use of the Internet and access to or transmissions or communications with the Company website is solely at your own risk. While Company has endeavored to create a secure and reliable Company website, You should understand that the confidentiality of any communication or material transmitted to/from the Company website over the Internet or other form of global communication network cannot be guaranteed. Accordingly, Company is not responsible for the security of any information transmitted to or from the Company website. You agree to assume all responsibility concerning activities related to your use of the Company website, including, providing any support or meeting any requirements of your contracts with third parties, obtaining and paying for all licenses and costs for third-party software and hardware necessary for implementation of the Company website, and maintaining and backing up any data. Any support, training, updates, upgrades, or maintenance of or for the Company website shall only be available through the sole discretion of Company or pursuant to the terms and conditions of a separate written agreement with Company. 4. Delivery of Information. When using and/or to facilitate the operation of certain features of the Company website, You may provide Company with additional content or information (a “Posting”). In connection with delivering and providing to Company any such Posting, You hereby and automatically grant to Company a non-exclusive, worldwide, perpetual, irrevocable, royalty-free, sublicensable right and license (through multiple tiers) to copy, distribute, create derivative works from, display, modify, reformat, transmit, and otherwise use any such content or information as necessary in connection with the Company website and Company's service obligations in any form, media, or technology now known or later developed for the full term of any rights that may exist in such content or information. With respect to any such content or information, You must also obtain at your sole expense all necessary consents, rights, permissions, and clearances (and provide Company with reasonable proof thereof (if requested)) required for Company to use such content or information in connection with Company's services and the Company website. Notwithstanding the foregoing, You acknowledge and agree that Company shall not be responsible for any failures, inoperability, delays, or problems caused by your failure to obtain the necessary rights, clearance or permission or to provide any necessary content or information for your use of the Company website in a timely or accurate manner. Moreover, Company assumes no responsibility for the deletion of or failure to store any content or information. 5. Other Terms. Additional notices, terms, and conditions may apply to receipt of and goods, services from the Company, Authorized User registration with the Company website, and/or to other specific portions or features of the Company website, all of which are made a part of this TOS by this reference. You agree to abide by such other notices, terms, and conditions. If there is a conflict between this TOS and the terms posted for or applicable to a specific portion of the Company website, the latter terms shall control with respect to your use of that portion of the Company website. Company's obligations, if any, with respect to its goods, programs, services, tools, materials, or information are governed solely by the terms, conditions, notices, and agreements pursuant to which they are provided, and nothing on this TOS should be construed to alter such terms, conditions, notices, and agreements. 6. User Name Handling. Registration as an Authorized User for access to certain areas of the Company website may require both a user name and a password. Only one Authorized User can use one user name and password and, thus, one account. By limiting access, it helps avoid unauthorized usage by other persons or entities because anyone with knowledge of both your user name and password can gain entry to the Company website and to your account. Accordingly, by using the Company website, You agree to consider your user name and password as confidential information and to keep your user name and password confidential. You also agree not to use another Authorized User's user name and password. You will immediately notify Company if You become aware of any loss or theft of your password or any unauthorized use of your user name and password. Company cannot and will not be liable for any loss or damage arising from your failure to comply with these obligations. Company reserves the right to delete or change (with notice) a user name or password at any time and for any reason. 9. Permission to Use Postings. You represent that You have all necessary rights to make the Posting available to Company and any Forum, and You also acknowledge that such Postings are non-confidential for all purposes and that Company has no control over the extent to which any idea or information may be used by any party or person once it is posted or displayed. Accordingly, notwithstanding this right and license, it is understood that by merely permitting your information, content, and materials to appear on the Company website, Company has not become and is not a publisher of such information, content, and materials and is merely functioning as an intermediary to enable You to provide and display a Posting. Moreover, Company assumes no responsibility for the deletion of or failure to store any Posting and recommends that You do not post, display, or transmit any confidential or sensitive information. 10. No Pre-Screening of Postings. Company is not responsible for screening, policing, editing, or monitoring your or another Authorized User’s Postings and encourages all of its Authorized Users to use reasonable discretion and caution in evaluating or reviewing any Posting. Moreover, and except as provided below with respect to Company's right and ability to delete or remove a Posting (or any part thereof), Company does not endorse, oppose, or edit any opinion or information provided by You or another Authorized User and does not make any representation with respect to, nor does it endorse the accuracy, completeness, timeliness, or reliability of any advice, opinion, statement, or other material displayed, uploaded, or distributed by You or any other Authorized User. Nevertheless, Company reserves the right to delete or take other action with respect to Postings (or parts thereof) that Company believes in good faith violate this TOS and/or are, or are potentially, unlawful or harmful to Company or its products, services, and goodwill. If You violate this TOS, Company may, in its sole discretion, delete the unacceptable content from your Posting, remove or delete the Posting in its entirety, issue You a warning, and/or terminate your use of the Company website. Moreover, it is a policy of Company to take appropriate actions under the Digital Millennium Copyright Act under U.S. Copyright Law and other applicable intellectual property laws. If You become aware of Postings that violate these rules regarding acceptable behavior or content, You may contact Company as provided below. 11. Proprietary Rights. This TOS provides only a limited license to access and use the Company website. Accordingly, You expressly acknowledge and agree that Company transfers no ownership or intellectual property interest or title in and to the Company website to You or anyone else. All text, graphics, user interfaces, visual interfaces, photographs, sounds, artwork, computer code (including html code), programs, software, products, information, and documentation as well as the design, structure, selection, coordination, expression, "look and feel," and arrangement of any content contained on or available through the Company website, unless otherwise indicated, are owned, controlled, and licensed by Company and its successors and assigns and are protected by law including, but not limited to, United States copyright, trade secret, patent, and trademark law, as well as other state, national, and international laws and regulations. Except as expressly provided herein, Company does not grant any express or implied right to You or any other person under any intellectual or proprietary rights. Accordingly, your unauthorized use of the Company website may violate intellectual property or other proprietary rights laws as well as other laws, regulations, and statutes. Please be aware that Company does enforce its intellectual property rights to the fullest extent of the law and, in particular and without limitation, with respect to illegal use of terms confusingly similar to any of Company's trademarks. This Company website is Copyright © 2014. Nice-Pak Products, Inc.. All rights reserved. Company also owns a copyright in the contents of the Company website as collective work and/or compilation and in the selection, coordination, arrangement, and enhancement of the content of the Company website. Any downloadable or printable programs, directories, databases, information, or materials available through the Company website and all copyrights, trade secrets, and know-how related thereto, unless otherwise indicated, are owned by Company. 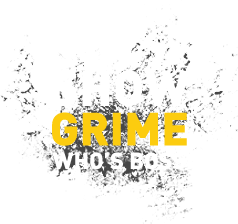 GRIME BOSS, the GRIME BOSS logo, and all other names, logos, and icons identifying Company and its programs, products, and services are proprietary trademarks of Company, and any use of such marks, including, without limitation, as domain names, without the express written permission of Company is strictly prohibited. Other service and entity names mentioned herein may be the trademarks and/or service marks of their respective owners, including affiliates of Nice-Pak Products, Inc.
12. Claims of Infringement. You must comply with all U.S. copyright and related intellectual property laws when using the Company website and may not store any material or content on, or disseminate any material or content over, the Company website in any manner that constitutes an infringement of third party intellectual property rights. Copyright owners who believe that their rights copyright have been infringed may take advantage of the Digital Millennium Copyright Act of 1998 ( “DMCA”) to report alleged infringements. The Company reserves the right to terminate service to any Authorized User who is found to infringe third party copyright or other intellectual property rights. Any user who feels that a Posting is infringing may send a notice under the DMCA to the Company. Upon our receipt of a proper DMCA notice, Company will endeavor to respond promptly to remove, or disable access to, the material claimed to be infringing and will follow the procedures specified in the DMCA to resolve the claim between the notifying party and the alleged infringer who provided the Posting in issue. The agent to whom you should address such notice is: General Counsel, Nice-Pak Products, Inc., 2 Nice-Pak Park, Orangeburg, NY 10962, (845) 365-1700, info@grimeboss.com. 13. Feedback and Submissions. Company welcomes your feedback and suggestions about Company's products or services or the Company website. By transmitting any suggestions, information, material, or other content (collectively, "feedback") to Company, You represent and warrant that such feedback does not infringe or violate the intellectual property or proprietary rights of any third party (including, without limitation, patents, copyrights, or trademark rights) and that You have all rights necessary to convey to Company and enable Company to use such feedback. In addition, any feedback received through the Company website will be deemed to include a royalty-free, perpetual, irrevocable, transferable, non-exclusive right and license for Company to adopt, publish, reproduce, disseminate, transmit, distribute, copy, use, create derivative works, and display (in whole or in part) worldwide, or act on such feedback without additional approval or consideration, in any form, media, or technology now known or later developed for the full term of any rights that may exist in such content, and You hereby waive any claim to the contrary. 14. Links to Other Websites. Company may provide links, in its sole discretion, to other sites on the World Wide Web for your convenience in locating or accessing related information, products, and services. These sites have not necessarily been reviewed by Company and are maintained by third parties over which Company exercises no control. Accordingly, Company expressly disclaims any responsibility for the content, the materials, the accuracy of the information, and/or the quality of the products or services provided by, available through, or advertised on these third-party Web sites. Moreover, these links do not imply an endorsement with respect to any third party or any Web site or the products or services provided by any third party. 15. Third-Party Products and Services. Company, in its sole discretion, may post the advertisements of third parties on the Company website and/or feature materials, programs, products, and services provided by third parties. Company makes no representations with respect to, nor does it guarantee or endorse, the quality, non-infringement, accuracy, completeness, timeliness, reliability, or correct sequencing of such third-party materials, programs, products, and services or any other materials, programs, products, and services which such third-party materials, products, and services may access. Your correspondence or any other dealings with third parties found on the Company website are solely between You and such third party. Accordingly, Company expressly disclaims responsibility and liability for all third-party provided materials, programs, products, and services contained on or accessed through the Company website, and You agree that Company shall not be responsible for any loss or damage of any sort incurred as a result of any such dealings or as the result of the presence of such third parties on the Company website. 16. Disclaimer. While the Company endeavors to provide reliable information, services, programs, software, and materials, the information, services, programs, software, and materials available on or through the Company website are provided on an "as-is" and "as available" basis and may include errors, omissions, or other inaccuracies. Company is also not responsible for any postings provided by You that are available through or from the Company website. Moreover, Company may make modifications and/or changes in the company website or in the information, services, programs, software, and materials available on the company website at any time and for any reason. You assume the sole risk of making use and/or relying on the information, services, programs, and materials available on the Company website. Company makes no representations or warranties about the results that can be achieved from or the suitability, completeness, timeliness, reliability, legality, or accuracy of the information, services, programs, and materials available on the company website for any purpose, and expressly disclaims all warranties, express or implied, including, without limitation, any warranty of merchantability, fitness for a particular purpose, or non-infringement or any other implied warranty under the uniform computer information transactions act as enacted by any state. Company also makes no representation or warranty that the Company website will operate error free or in an uninterrupted fashion or that any files or information that You download from the site will be free of viruses or contamination or destructive features. 17. Limitation of Liability. YOU EXPRESSLY ABSOLVE AND RELEASE COMPANY FROM ANY CLAIM OF HARM RESULTING FROM A CAUSE BEYOND COMPANY'S CONTROL, INCLUDING, BUT NOT LIMITED TO, FAILURE OF ELECTRONIC OR MECHANICAL EQUIPMENT OR COMMUNICATION LINES, TELEPHONE OR OTHER CONNECTION PROBLEMS, COMPUTER VIRUSES, UNAUTHORIZED ACCESS, THEFT, OPERATOR ERRORS, SEVERE WEATHER, EARTHQUAKES, OR NATURAL DISASTERS, STRIKES, OR OTHER LABOR PROBLEMS, WARS, OR GOVERNMENTAL RESTRICTIONS. MOREOVER, IN NO EVENT SHALL COMPANY BE LIABLE FOR ANY INDIRECT, PUNITIVE, INCIDENTAL, SPECIAL, OR CONSEQUENTIAL DAMAGES ARISING OUT OF OR IN ANY WAY CONNECTED WITH THE USE OF THE COMPANY WEBSITE, WITH THE DELAY OR INABILITY TO USE THE COMPANY WEBSITE, OR FOR ANY INFORMATION, SERVICES, PROGRAMS, PRODUCTS, AND MATERIALS AVAILABLE THROUGH THE COMPANY WEBSITE, WHETHER BASED IN CONTRACT, TORT, STRICT LIABILITY, OR OTHERWISE, EVEN IF COMPANY HAS BEEN ADVISED OF THE POSSIBILITY OF SUCH DAMAGES. 18. Indemnity. You agree to defend, indemnify, and hold harmless Company and affiliates and all of their respective employees, agents, directors, officers, shareholders, attorneys, successors, and assigns from and against any and all claims, proceedings, damages, injuries, liabilities, losses, costs, and expenses (including reasonable attorneys' fees and litigation expenses) relating to or arising from any breach by You of this TOS. 19. Notice of Security Breach. In addition to the foregoing indemnification obligation, if You discover or are notified of a breach or potential breach of security with respect to any personally identifiable information provided or made available by Company, You shall immediately (i) notify Company of such breach or such potential breach and (ii) if the applicable data was in your possession or control, including, without limitation, in instances where such possession or control was permitted by this TOS at the time of such breach or potential breach, You shall immediately (a) investigate such breach or such potential breach, (b) inform Company of the results of such investigation, (c) assist Company using commercially reasonable efforts in maintaining the confidentiality of such information, and (d) assist Company as reasonably necessary to enforce Company's rights and to enable Company to comply with any state or federal law requiring the provision of notice of any security breach with respect to any personally identifiable information of the affected or impacted data subjects. 20. Governing Law. This TOS has been made in and will be construed and enforced solely in accordance with the laws of the United States of America and the State of New York, U.S.A., as applied to agreements entered into and completely performed in the State of New York. You and Company each agree to submit to exclusive subject matter jurisdiction, personal jurisdiction, and venue of the courts in the State of New York for any disputes between us under or arising out of this TOS. You also agree to waive any right to a jury trial in connection with any action or litigation in any way arising out of or related to this TOS. Any claim You might have against Company must be brought within one (1) year after the cause of action arises, or such claim or cause of action is barred. You also acknowledge and agree that any applicable state law implementation of the Uniform Computer Information Transactions Act (including any available remedies or laws) shall not apply to this TOS and is hereby disclaimed. You access the Company website on your own volition and are responsible for compliance with all applicable local laws with respect to your access and use of the Company website. A printed version of this TOS and of any related notice given in electronic form shall be admissible in judicial or administrative proceedings based upon or relating to this TOS to the same extent and subject to the same conditions as other business documents and records originally generated and maintained in printed form. 21. Enforcing Security on this Site. Actual or attempted unauthorized use of the Company website may result in criminal and/or civil prosecution, including, without limitation, punishment under the Computer Fraud and Abuse Act of 1986 under U.S. federal law. Company reserves the right to view, monitor, and record activity on the Company website without notice or permission from You, including, without limitation, by archiving notices or communications sent by You through the Company website. Any information obtained by monitoring, reviewing, or recording is subject to review by law enforcement organizations in connection with investigation or prosecution of possible criminal or unlawful activity on the Company website as well as to disclosures required by or under applicable law or related government agency actions. Company will also comply with all court orders involving requests for such information. In addition to the foregoing, Company reserves the right, at any time and without notice, to modify, suspend, terminate, or interrupt operation of or access to the Company website, or any portion of the Company website, in order to protect the Company website, Company, or Company's business. 22. Term and Termination. This TOS and your right to use the Company website will take effect the moment You access or use the Company website and is effective until terminated by Company. Company reserves the right at any time and on reasonable grounds, which shall include, without limitation, any reasonable belief of fraudulent or unlawful activity or actions or omissions that violate any term or condition of this TOS, to deny your access to the Company website or to any portion thereof in order to protect its name and goodwill, its business, and/or other Authorized Users, and this TOS will also terminate automatically if You fail to comply with this TOS, subject to the survival rights of certain provisions identified below. Termination will be effective without notice. You may also terminate this TOS at any time by ceasing to use the Company website, but all applicable provisions of this TOS will survive termination, as identified below. Upon termination, You must destroy all copies of any aspect of the Company website in your possession. In addition to the miscellaneous section below, the provisions concerning Company's proprietary rights, feedback, indemnity, disclaimers of warranty, limitation of liability, and governing law will survive the termination of this TOS for any reason.